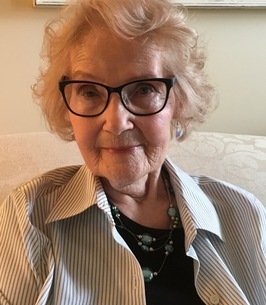 On August 5, 2018 Nellie Tkachuk of Calgary, Alberta peacefully passed away at the age of 89. She is lovingly survived by her six children: Shirley (J.J.) Dallaire, Garry Tkachuk, Marjorie Lapointe, Linda Oliver, Gilbert (Kathy) Tkachuk, and Valerie (Marcel) Lauzon; thirteen grandchildren; fifteen great grandchildren, one great great grandchild; three sisters: Ellen Gillin, Lucy Roddick, Victoria Martiniuk. Nellie was predeceased by her husband: Mike Tkachuk; twin daughters: Jean & Joan Tkachuk and grandson: Michael Tkachuk. Our Mom, grandmother, great grandmother and great great grandmother will always be remembered for her kind touch, encouraging words and her close walk with her Lord and Savior. Nellie was a true matriatch. She had an unwavering relationship with God and passed the torch of faith to many. She was an encourager and chose to believe the good in all. Nellie leaves behind an exemplary legacy. Her life will be celebrated on Thursday, August 9, 2018 at 11:00 a.m. at the Lakeview Gospel Centre, Bonnyville, AB with Reverend Jeff Harmon officiating. One block south of Burger Baron (main street) on Lakeshore Drive. Our thoughts and prayers are with the Tkachuk family . Over the years we enjoyed having both Mike and Nellie as our wonderful neighbors Sorry we are unable to attend Nellie's service as we are away at this time.. Don and I will be there with each of you in spirit. 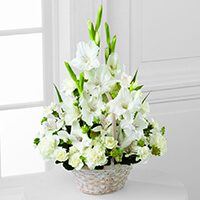 To the family: sincere condolences on the passing of your Mom, Grandmother, great grandmother. She was a very special lady, always made me feel welcome in her home and presence, she was very kind. May God in His grace comfort each of you in this time or grief, rememberance and reflection. Trust in His love knowing she is certainly rejoicing with the angels in heaven. My Mom, Kate Pelech, also sends here condolences. Linda, Marj,Garry, Shirley, Gilbert, Val..I am so sorry to hear of your Mom's passing. I have such great memories of my time with all of you! May your memories of your Mom bring you comfort and peace! Condolences to the family. Historically, one of many building families of the Sandy Rapids, Iron River and LaCorey areas. A heritage in the value of ethics , faith and hard work. Our sincere condolences. I have many, many fond memories of your Mother. A very classy lady. Memory Eternal! I loved her so much. Mom also. So sorry to hear of the passing of Nellie. May all your memories be of comfort to you at this difficult time. Thoughts & prayers to you all.